We shall be exhibiting as usual at the front of the fair. This time the opening hrs have been extended until 9 p.m on opening night to allow more time for browsing after work. 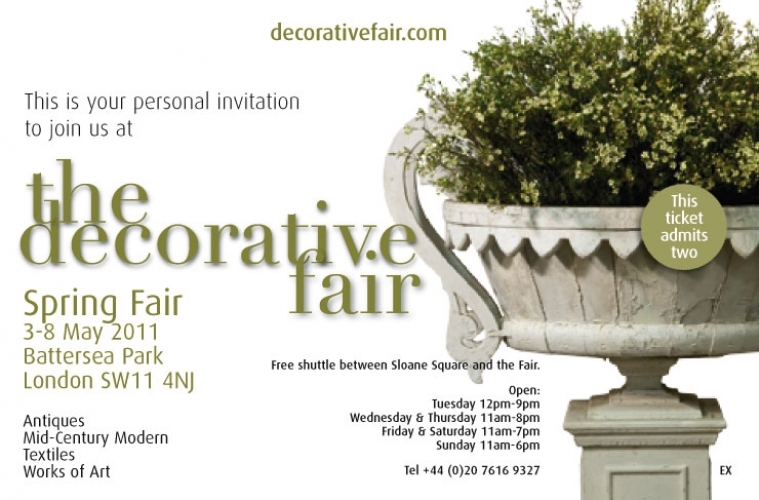 This is without a doubt the best antiques fair in London - miss it at your peril ! !